Below is a collection of #digital tweets from the last few weeks – from my perspective the trends, tips and digital news that’s worth a read whether you’re a casual observer or a fellow CDO. 11 Jan 2017 How does Digital Business Services aim to deliver maximum customer value? Michael Kleinemeier explains. 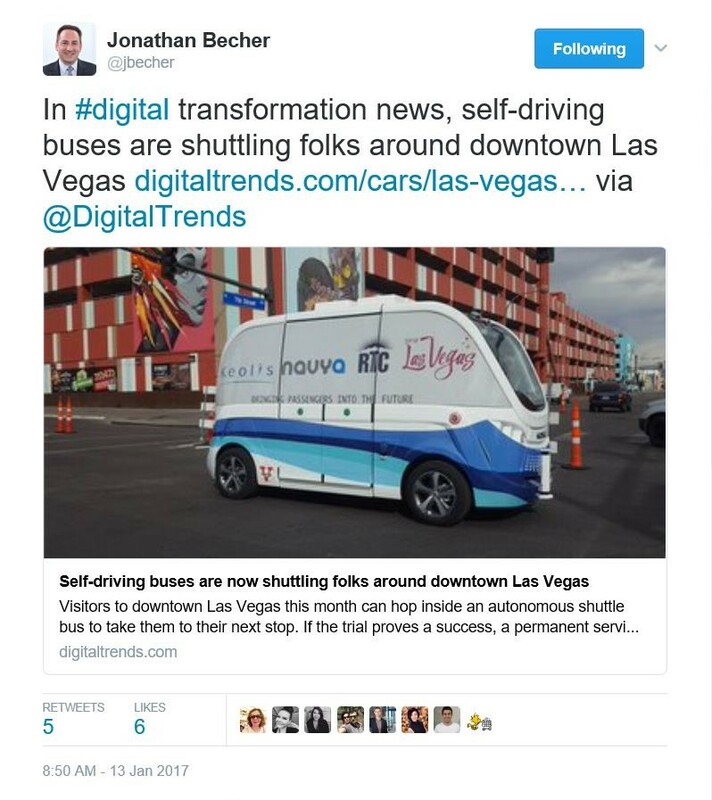 13 Jan 2017 Did you know that self-driving buses are already on the streets of downtown Las Vegas? Read the latest Digital Trends article on this story. 16 Jan 2017 Find out more about Virginia Tech FutureHAUS: a home without buttons, but with plenty of tricks. 17 Jan 2017 Technology is a tool that also risks becoming a threat to privacy. Check out this Time poll. 18 Jan 2017 Empathy is the killer app for artificial intelligence. Read more about it in this Digital Magazine article. 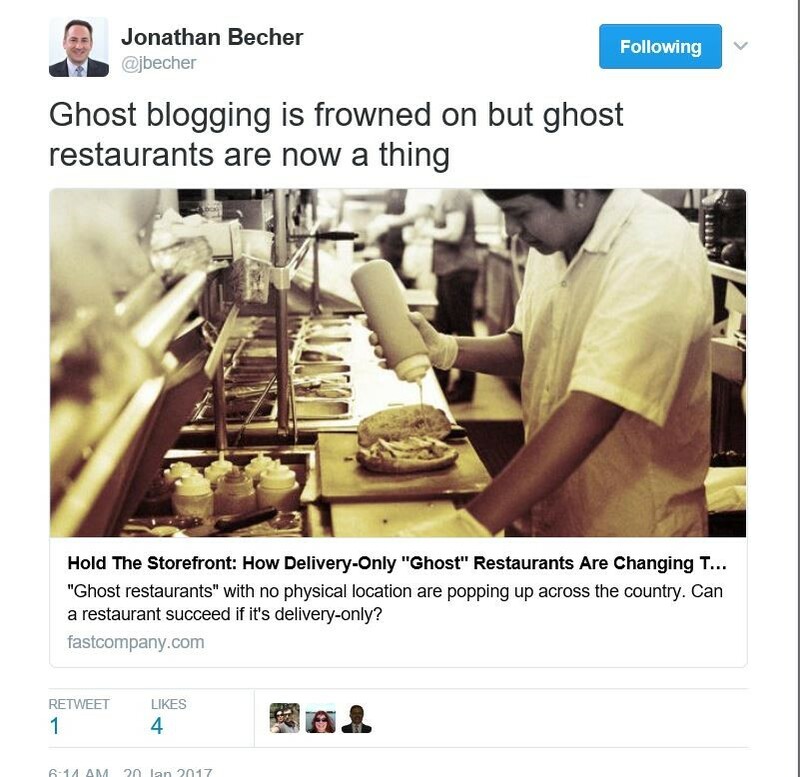 20 Jan 2017 “Ghost restaurants” with no physical location are popping up across the country. Check out this article about deliver-only restaurants. 21 Jan 2017 For the inside story of BitTorrent’s collapse, have a look at this Backchannel article. 23 Jan 2017 Read how “Pillow King” Mike Lindell’s multimillion-dollar idea came to him in a dream. 25 Jan 2017 Artificial intelligence can now predict heart failure. Check out this Digital Trends article. 27 Jan 2017 A team of engineers from the University of Utah invented new “Smart Glasses” that can completely autofocus on their own. 28 Jan 2017 Airbus plans to make autonomous, flying cars a reality by 2017. Read this Futurism.com article. 30 Jan 2017 Physicists will soon rule Silicon Valley to the detriment of coders. 30 Jan 2017 Denmark will appoint world’s first ‘digital ambassador’. 31 Jan 2017 Read how Robotic fabricators could change the way buildings are constructed.